Even as someone who appreciates tech, coming from the West, the name Huawei is still a bit foreign to me. After testing their smartwatch, however, I’m starting to really notice their brand and their impressive value and attention to detail. These guys are serious in the smartwatch, wearable market. They get it and know how to take the strengths of a good device and improve it, ten fold. For the record, it’s my first smartwatch but having read about others and tinkered with Apple watch, the Pebble, and a few others, I can say that this is a solid watch. Let’s start from the beginning, the Huawei watch came onto the tech scene and Mobile World Congress in 2015. At the point, most of the specs were simply rumours. It wasn’t until IFA 2015, that the official watch was released. That’s when the watch skyrocketed and earned its place as being one of the best Android wearables last year. Great watch, solid look and feel. Priced right. 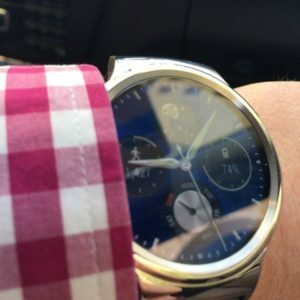 Here’s my review of the Huawei watch after using it for about six weeks. It’s been paired with my iPhone 6 Plus with the Android Wear app. 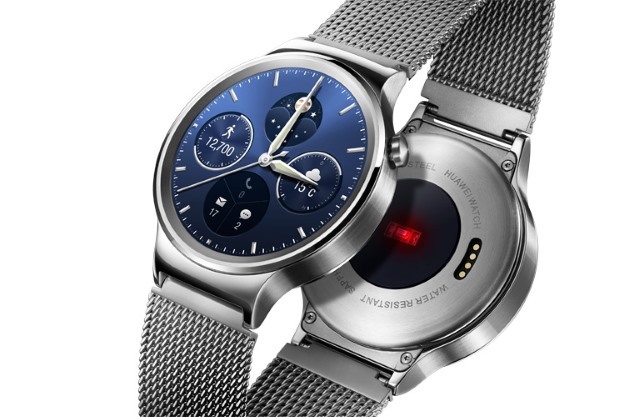 The Huawei Watch gets lots of things right where most Android Wear watches have struggled, the design. Slick, sophisticated, simple and non-techy. Running on iOS, the functionality is limited. Getting a text on the watch means you can view it but not reply. 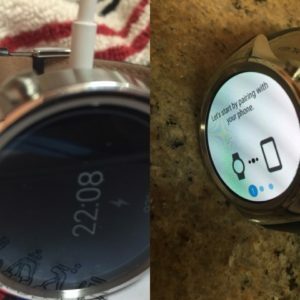 Essentially, using an Android Wear smartwatch with an iPhone is no substitute for an Apple Watch, at least not yet. Hopefully, at some point in the near future, Apple may consider opening its APIs for a more robust integration experience with iOS apps. Till then, Apple has one thing on its mind and its selling more Apple products. Huawei clearly worked hard on the packaging. The luxury feeling of this timepiece is clear, it makes the user feel impressively regal from the moment they open the box. 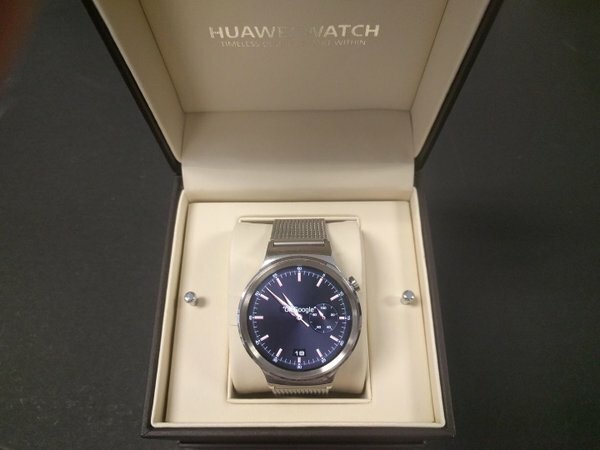 The box, if such things matter to you, shows Huawei is making a concerted effort to mimic the higher end watch brands. The box is decked with embossed text and a soft interior. It seems that unlike some of its competitors, Huawei gets that this is not just another tech toy. This is a device that’s meant to be used and deserves the splash of class and luxury feel that is associated with such an investment. The watch has a round face with a full 360 display. 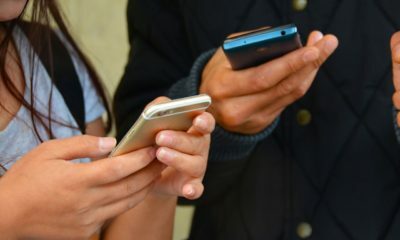 This small change enables Huawei to outshine and out-display its competition- by executing on the one thing that can be a major pain point for tech gadgets—allowing users to read the display in full sunlight. 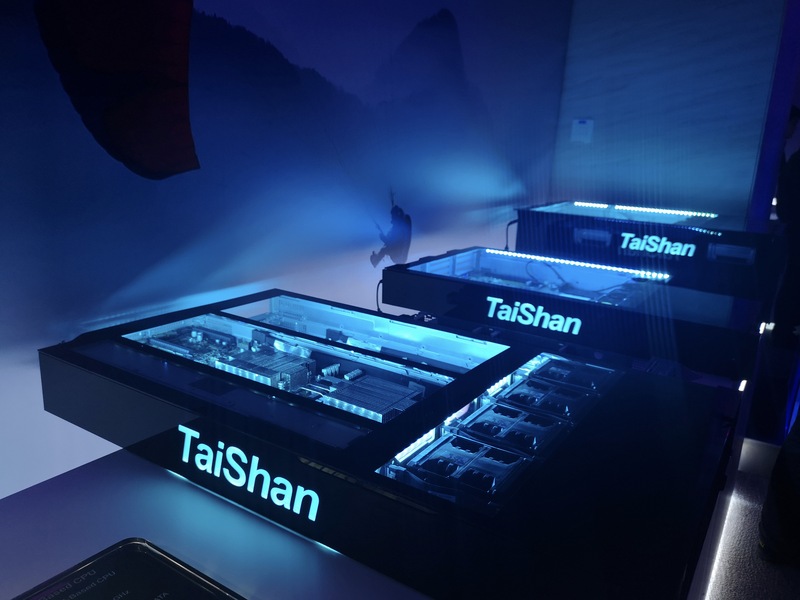 Critical and a big win for Huawei. After downloading the Android Wear app, the process of pairing the phone and watch took about two minutes. Granted, functionality with iOS is limited but it’s ok. The whole idea of having notifications buzzing on your wrist takes some getting used to. Essentially, any notification that’s set up on your iPhone will come up on the Huawei. From Instagram to Snapchat to Twitter. Dismissing notifications is only a simple swipe away (it also gets dismissed on the phone). 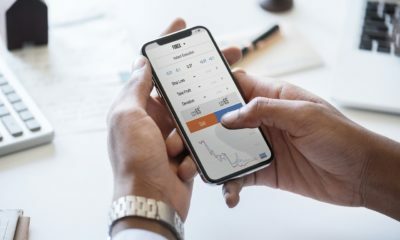 Thankfully, Google Now is on board, so users can use the iPhone app to allow traffic, sports, reminders and much more straight onto the watch. Like any smartwatch, the Huawei will count steps and offer basic metrics. For the common person, the fitness tracking is probably extremely appealing. 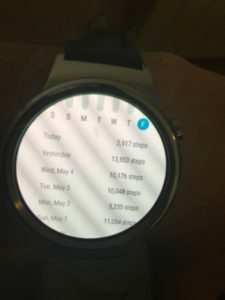 While the Fitbit remains the preferred tracker, at least in the US, the Android Wear option will perform similar functions and will inspire most to get out and move. Unfortunately, exercise nuts or running enthusiasts, like myself, will find it difficult to use the Huawei as a viable replacement for their sports watch. With no GPS or other more robust sports tracking metrics, the basic info just doesn’t cut it for me. Additionally, the leather band and exposed charging nodes (more on that soon) also make the watch a bit less sport, sweat friendly. This is probably where the Huawei truly stands out. The processor and memory are arguably the best around and the full screen display is an absolute pleasure. The AMOLED display offers a bright, crisp and sharp color. Like every smartwatch, smartphone and smart device, the battery life is a big setback. That being said, the battery on the Huawei is pretty solid. On a full charge, I’ve been able to get about 30 hours, sometimes I was able to stretch a bit more. That’s good considering the number of notifications I receive daily. While the watch isn’t in multi-day-Pebble level, it gets impressively close and that’s commendable. Speaking of battery life, I think the issue isn’t the battery life but the actual way in which the device charges. The charger is a proprietary magnetic cradle that looks like a hockey puck. The fact that the charger doesn’t use more standard charging options is a bit annoying. Pro tip: Be careful not to lose the charger, since replacing it isn’t cheap. So, after almost two months of wearing the Huawei, I’d say it’s wearing well. No scratches on the sapphire glass, not knicks on the finishing, and no marks on the leather strap. While I haven’t tested the full waterproofing of the device, I’ve been caught with a few sprinkles on it with no damage. Although it’s pricey, the Huawei Watch clearly earns its position as one of the best Android Wear smartwatches on the market. Its stunning design and impressive quality make it a watch worth wearing. With no GPS or NFC there’s certainly some room for improvement but it’s definitely a great step in the right direction. All in all, Huawei joined the smartwatch arena a bit late but they caught up quickly. The Chinese mobile and technology company know what they’re doing. They get it. The company understands how to balance function with form. They know how to work (or do a good job) on multiple operating systems. 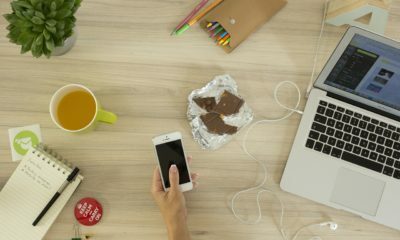 The smarter the device the better the digital experience will have to be. Huawei gets that and is working hard on making the overall flow on devices better.